Being right next to the ocean, the evening always tends to be cool no matter how hot the day is; therefore, layering is key. I am wearing some of my favorite pieces all in tones of beiges and rose. A bird print chiffon blouse over a maxi dress and a houndstooth coat with darling heart shaped pockets! I definitely planned this look around the shoes. 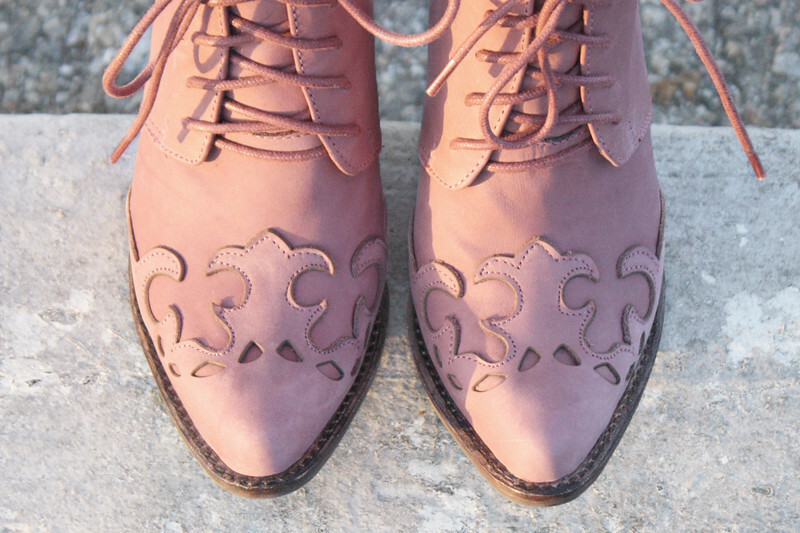 These Jeffrey Campbell Haliwell booties gifted to me from DNA Footwear have seriously become my new favorite! I love the unique muted rose color and the beautiful ornate details that are slightly western. They are so amazing and comfortable, I want a pair in black too! 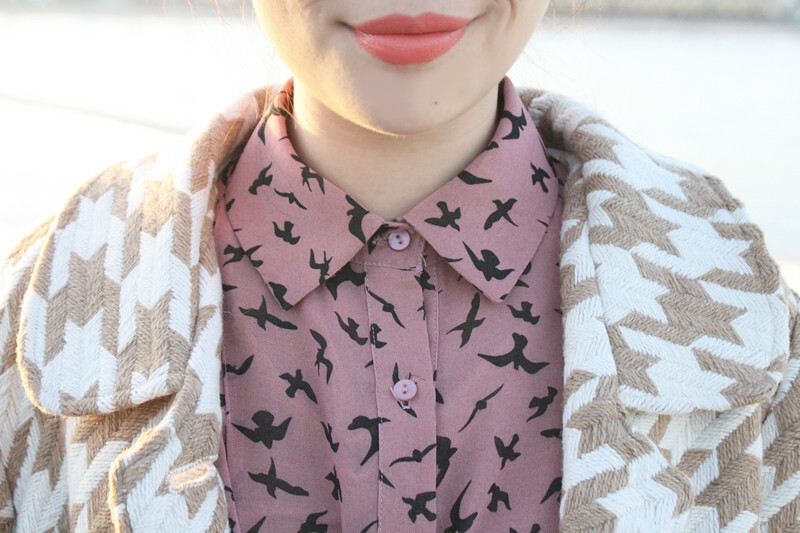 Bird print chiffon blouse by Fun2Fun. 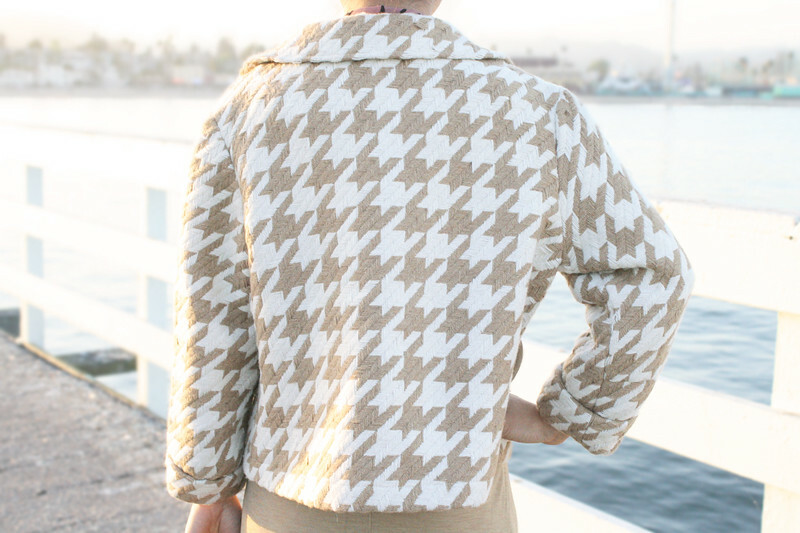 Thrifted houndstooth coat with heart shaped pockets by Coco and Chase. Keira handbag by Melie Bianco from Piperlime. 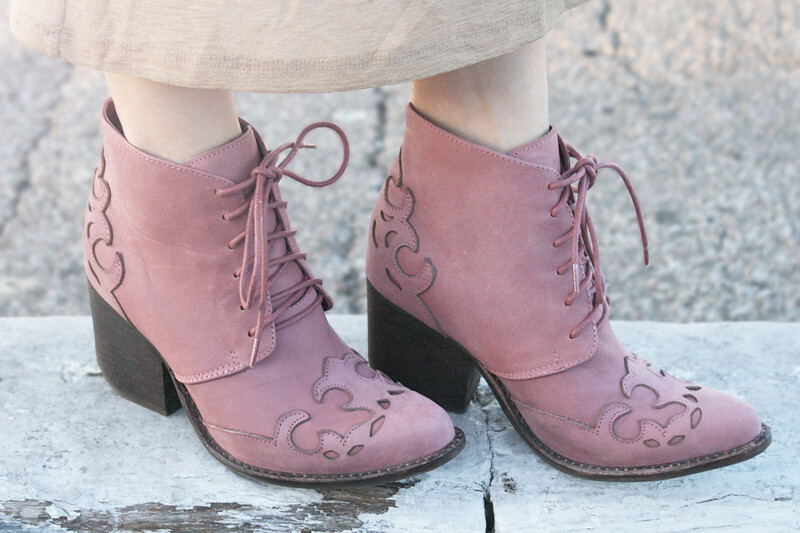 Haliwell booties by Jeffrey Campbell c/o DNA Footwear. Wonderful outfit post! I adore your style! The blouse fits so good to your shoes, I also love your jacket! So cute! Great outfit! I love soft nudes and pinks, but they look awful on me :( You pull it off perfectly, though! This is really cute. Love the colors! this is amazing, love the colours! Amazing outfit! You always have such unique peaces! Adore your shoes and bag! This shoes are too perfect!!! The houndstooth blazer is one of prettiest I've ever seen. 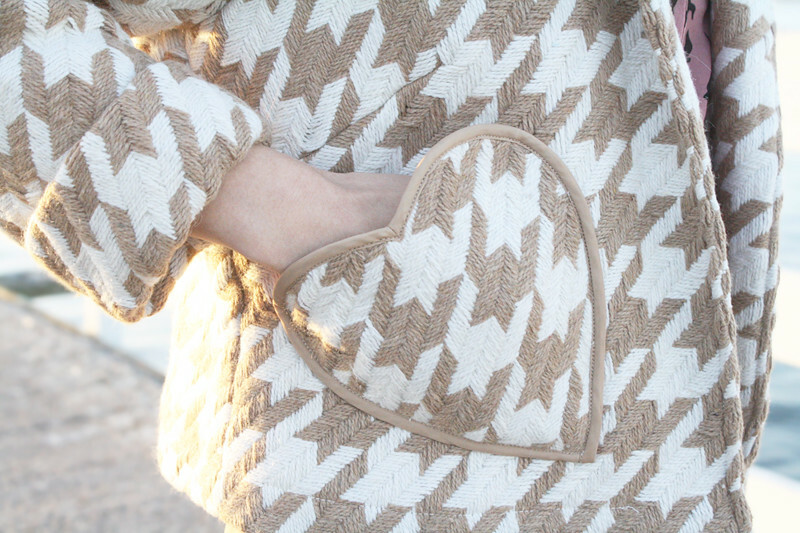 So much in love with the love pocket detail, also those dusty pink boots are sooo cute!! Definitely love the whole look!! Such a cute mix of print in this outfit. Your jacket is awesome and so are those adorable shoes! I LOVE this outfit. I got super excited when I saw the excerpt image on Bloglovin and it's even better altogether like this. That handbag is like the color-blocked handbags post I did awhile ago on my blog. You styled it perfectly with these shoes, blouse, and jacket. I can't get over how great you look! This is exactly my style. Absolutely adorable outfit! Don't know what to single out coz I actually love everything!